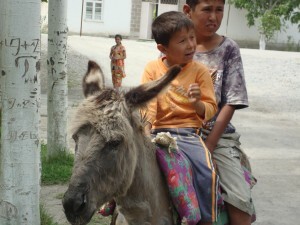 One of the most endearing aspects of travelling in Uzbekistan was the fascination that we held for the local people. 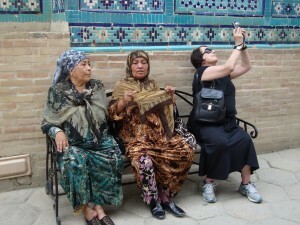 I would never dream of taking photographs of tourists in London, but we were constantly stopped so that photographs could be taken with us. 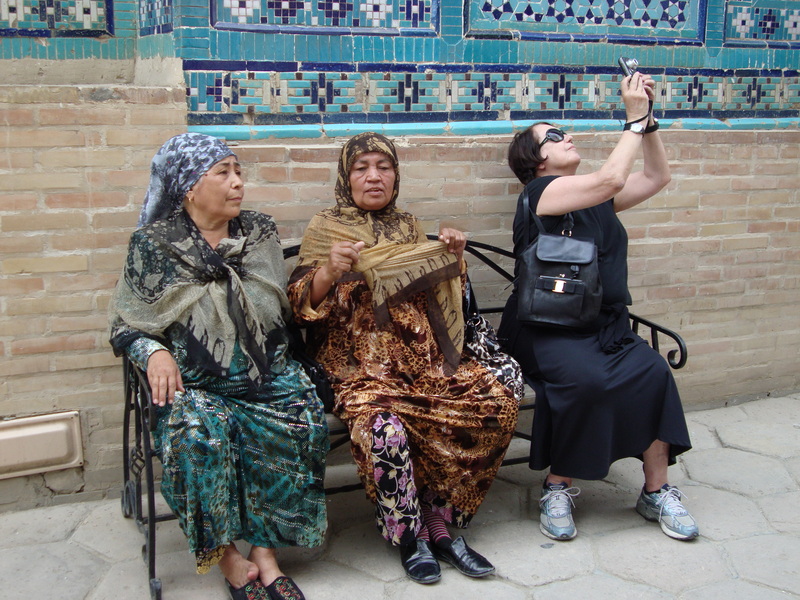 It is weird being seen as exotic in a country that I viewed as exotic, but it made it much easier to get interesting photos of people. I include some of my favourites in this post. 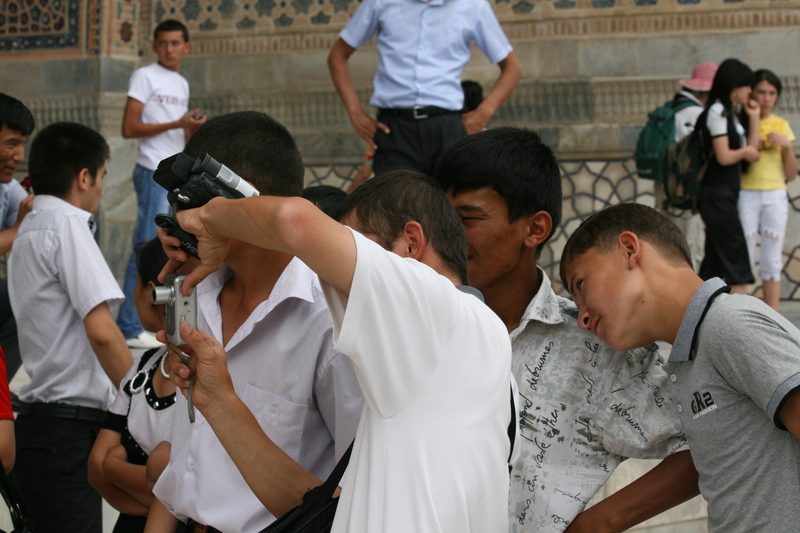 I like the one I got of some boys photographing some of my travelling companions. 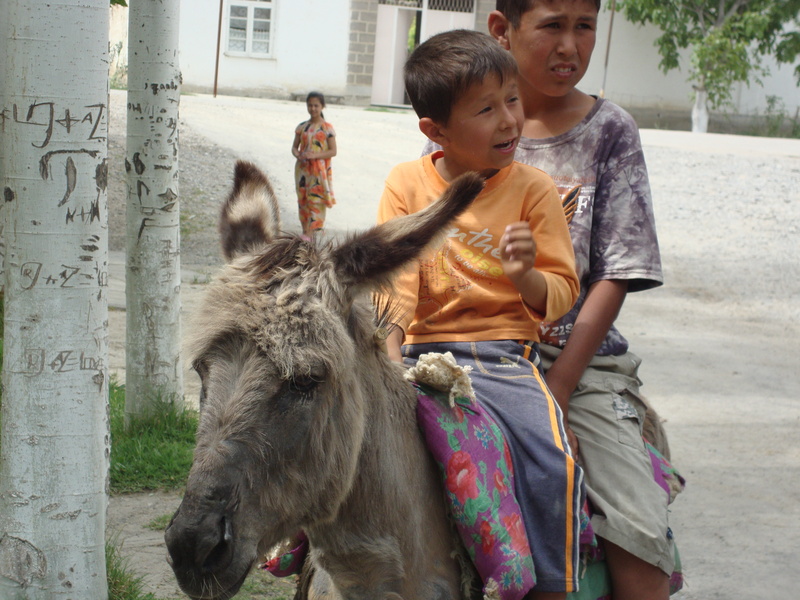 And who can resist boys on a donkey…..